Are you ready for a crazy-easy, totally delectable, healthy weeknight meal? This, my friends, is it. 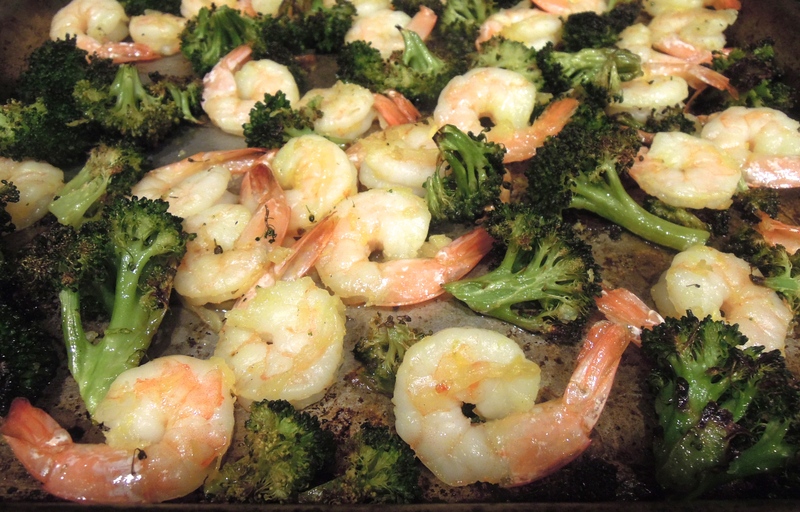 Broccoli and shrimp harmoniously roasted together on a baking sheet. You know what that means? It only dirties one pan! A major win in the world of weeknight meals. Just toss the broccoli florets with some olive oil, salt, and pepper. Pop it in the oven for a little bit to get going. Meanwhile, season a pound of shrimp with olive oil, salt, pepper, red chili peppers (if you’re into that kind of thing), and the zest of one lemon. Add the shrimp to the baking sheet and let that goodness finish cooking together. If you like, steam some brown rice or quinoa to round out your meal. If you’re Robert, douse everything in Sriracha. Preheat oven to 425 degrees. In a bowl, toss broccoli with 2 Tbsp olive oil, 1 tsp salt, and black pepper. Spread broccoli onto baking sheet and cook 10 to 12 minutes. Meanwhile, in a bowl, combine shrimp, 2 Tbsp olive oil, 1/2 tsp salt, black pepper, chili peppers, and lemon zest. Add to baking sheet and roast about 10 to 15 minutes more, tossing halfway through. 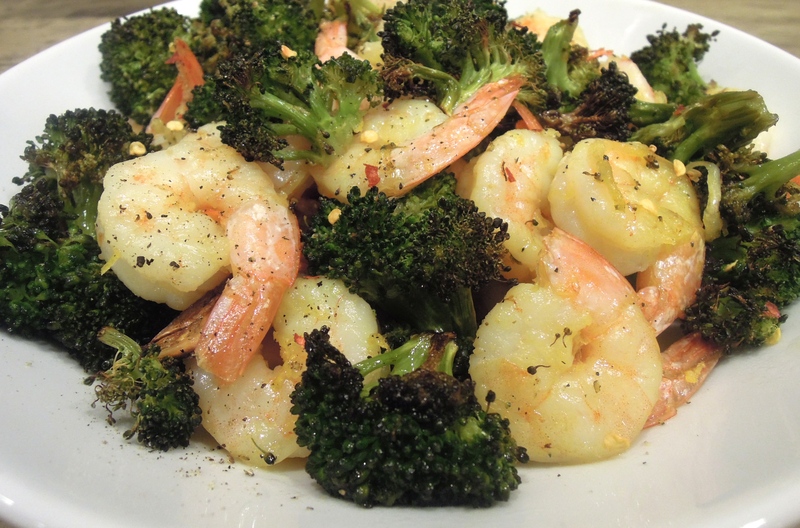 Broccoli will be golden and shrimp will be pink and opaque. Serve with brown rice or quinoa, if desired. This entry was posted in Fish, Vegetables on January 27, 2014 by Paige Greenfield.